The Amazing Teacher Days Challenge! Happy new school year! Many of you have just started or will be starting the 2017-18 school year! 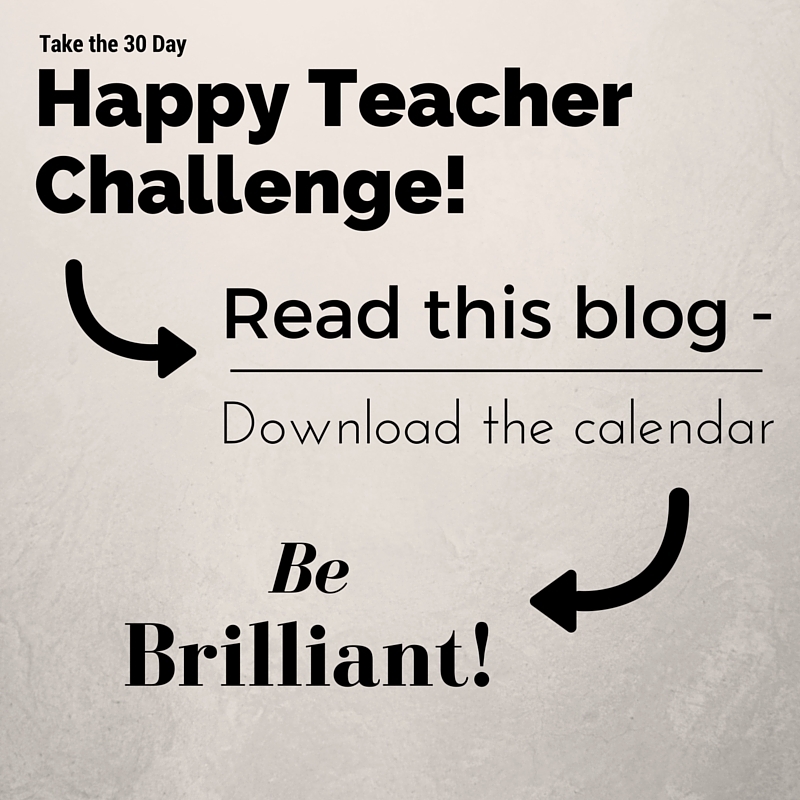 What better way to kick off the year than take the 30 Day Happy Teacher Challenge! Print the Happy Teacher Challenge and paste it in your teacher lounge. Forward it to your friends. Make the 2017-18 the Best Year Ever! As you go through the next 30 days – be sure to share what you can on social media by tagging your post #30dayhappyteacherchallenge oops, #30amazingteacherdays! Let the world know how awesome your students are!